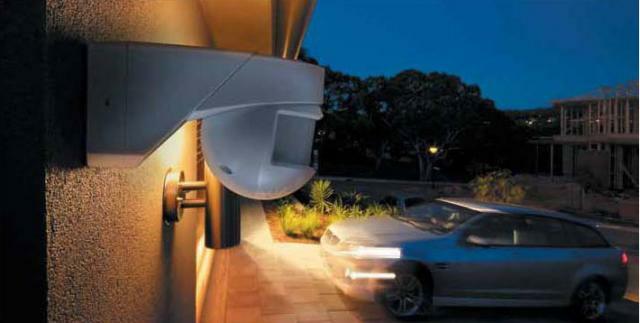 Feel secure outside your home day or night. Avoid the need to leave your outside light on when you leave home with an automatic security light. 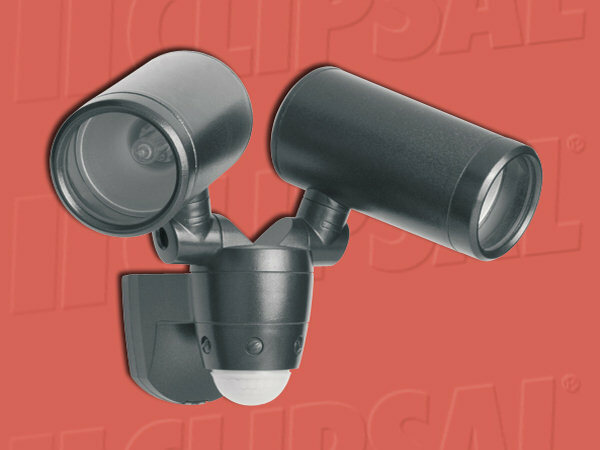 Clipsal Outdoor Motion Sensor (Automatic Security Light) dual Adjustable Beam Security Spotlight has a 180 degree passive infrared detector to switch on the two modern 'bullet' shaped 60W G9 Halogen security spotlights on sensing movement. Perfect for welcoming your guests or deterring potential home intruders, the Infrared sensor automates switching of the lighting in response to movement. An easy solution for both home energy efficiency and enhanced home security. By ensuring that your lighting is only activated when it's needed, automated switching makes a valuable contribution to your home energy management strategy. Occupancy Sensors & Motion Detectors offer convenience, enhanced security and energy savings to the energy smart home owner. • Integrated Dual Adjustable Beam Spotlight with twin 60W G9 Halogens • 12m Detection Range • IP44 Weatherproof Rating • Time-On and Lux Controls.